In order to access this Site and Mobile Application, you must first complete the registration process. During the registration process, we collect personal information such as your name, email address, contact number and identification card details. Once you complete and submit your registration, you have opted in to receive email and sms communication from us. You may withdraw such consent by writing in to happiness@vanitee.com and Attention it to "Personal Data Protection Officer". We also collect personal information when you choose to use certain other features of the Site and Mobile Application, such as making appointments or electing to receive text messages about appointment reminders, upcoming events or promotions. When you choose to use these additional features, we require you to provide additional personal information such as your phone number, billing and shipping addresses and credit card information, and we may request additional personal information such as your shopping preferences and demographics. All information is currently stored on Amazon Web Services - Singapore but such information could be copied throughout the Amazon network worldwide to ensure timely delivery to any user accessing our Site and Mobile Application anywhere in the world. We may at time use caching servers to increase the speed of delivery. The use of such caching servers may or may not contain your data. We use personally identifiable information in order to give you a more enjoyable, convenient online experience and to help us identify and/or provide information, products or services that may be of interest to you. We use your personally identifiable information to support and enhance your use of the Site and Mobile Application and its features, including without limitation: fulfilling your order; providing customer service; tracking email invitations you send; and otherwise supporting your use of the Site and Mobile Application. We may also track your past bookings and purchases to provide you with a personalized profile of your appointment and shopping history. In addition, we may notify you about new services or special promotional programs, or send you offers or information. We may permit certain trusted third parties to access your information in connection with their performance of services to maintain and operate the Site and Mobile Application and certain features on the Site and Mobile Application. For example, we may use third parties to host the Site and Mobile Application; operate various features available on the Site and Mobile Application; send emails or sms; analyze data; provide search results and links and assist in fulfilling your orders. Occasionally, we provide our postal mailing list (consisting of customer names and postal mailing addresses, but not email addresses or credit card details) to other companies whose products we believe may be of interest to you. In order to determine those products that we believe may be of interest to you, the information that you give us and information about your order may be combined with other personally identifiable information (such as demographic information and past purchase history) available from our records and other sources. If you use a chat room or any other publicly accessible area of the Site and Mobile Application, you should be aware that any personally identifiable information you submit there can be read, collected or used by any other person for any purpose. We are not responsible for the personally identifiable or other information you choose to submit in these forums. We use non-personally identifiable information in the aggregate, so that we can improve the Site and Mobile Application and for business and administrative purposes. We may also use or share with third parties for any purpose aggregated data that contains no personally identifiable information. However, we may share personally identifiable or other information with our parent, subsidiaries, divisions, and affiliates. The Site and Mobile Application encrypts your credit card number and other personal information using secure socket layer (SSL) technology to provide for the secure transmission of the information from your PC to our servers. In addition, only those employees and third parties who need access to your information in order to perform their duties are allowed such access. We use your feedback to improve our Site and Mobile Application and our organization. If you choose to provide information about yourself using a feedback or email form on our Web Site and Mobile Application, we will not use the information for any purpose other than to respond to your inquiry or to act on your suggestion or comment. We will not share your information with others except with your permission or upon your request. Comments you voluntarily post on public forums such as any of our public pages will, of course, be displayed publicly along with the name you submit and the time at which you submitted the comment. If you elect to use our referral services for informing a friend about our Site and Mobile Application, you will need to provide his/her name and email address. Vanitee stores this information to confirm qualifying orders attributable to your account and to track the results of the invitation referrals. 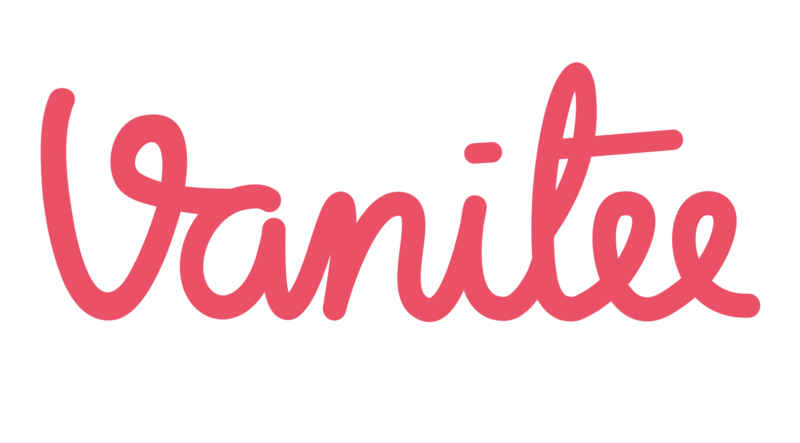 Vanitee will automatically send the friend a one-time email inviting them to visit the Site and Mobile Application. Vanitee stores this information for the sole purpose of sending this one-time email and tracking the success of our referral program. The friend may contact Vanitee at to request the removal of this information from our database. Please note that your friends and contacts may still choose to send email invitations to you. Any user who receives an email invitation to join the Site and Mobile Application may choose not to receive such invitations in the future by following the instructions in the email invitations and, in addition, if you are a member, you may also choose not to receive such invitations by changing your preferences as indicated above. In addition, you may update or change your personal information or preferences by sending email to yipee@vanitee.com. We will take commercially reasonable steps to implement your opt-out requests promptly, but you may still receive communications from us for up to fourteen business days as we process your request. Parents should be aware that there are parental control tools available online that you can use to prevent your children from submitting information online without parental permission or from accessing material that is harmful to minors. © Vanity Trove Pte Ltd, All rights reserved.